So your offer has been accepted! Now it’s time for the property to be inspected. A property inspection, HVAC inspection and environmental (asbestos, mold, radon) test should be completed to ensure that the property meets or exceeds the standards as stated in the Purchase and Sale Contract. If there are issues or discrepancies exposed, you typically have 10 days during which to reach agreement on how the issues will be resolved by the seller. Having these procedures executed in a timely and professional manner is vital. If they are not taken care of correctly, the seller can demand performance and at a minimum you will lose your earnest money. You could also face a lawsuit that demands performance. Your Realty Consultant can help you find the appropriate companies to do each inspection and complete the necessary amendments to the contract to avoid such problems. Homeowner’s insurance is another very important matter that we will need to consider at this point. Insurance professionals recommend that you obtain insurance equal to the full replacement value of the home. Without proper insurance coverage on the home in place, the closing cannot go forward. 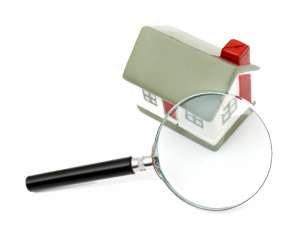 Your Realty Consultant will save you time by overseeing the coordination of all essential inspectors and contractors. He or she will ensure that they have access to the property at the appropriate times. It is recommended that you attend the inspections yourself to discuss the findings with the inspector(s). Your Realty Consultant’s experience in this arena will be highly beneficial in making sure that all inspections are completed on time and in a professional and legal manner.